The Salmon River conditions are just right to begin our rare, but exciting Loop Tour on Sunday June 14th. This tour starts at Pittsburgh Landing on the Snake River in Hells Canyon and loops around to the Salmon River into White Bird, where it ends at Killgore Adventures’ private beach. It’s one of our annual favorites, traveling 79 miles round trip and hitting the best of the rapids then pausing for a picnic lunch (we provide!) on the beach. Its the perfect way to spend a Sunday, relaxing on the river with a cold drink. 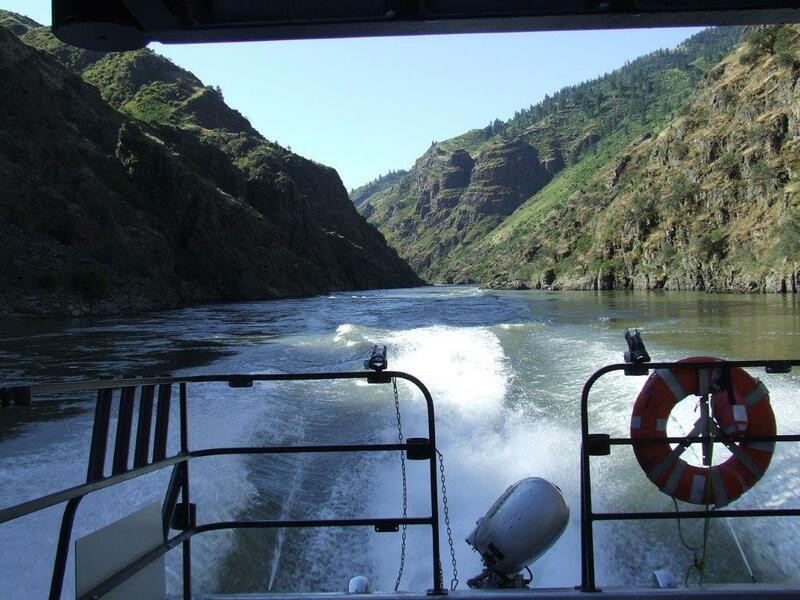 See the beautiful and scenic Hells Canyon as well as the Blue Canyon, Snow Hole Canyon and the Green Canyon of the Salmon River. It’s two tours in one!